Booker Prize winner Yann Martel spoke of how he came up with the idea of his novel he published in 2001 and which fetched him the Booker Prize the next year, how he chose the characters and how he did research among other things. 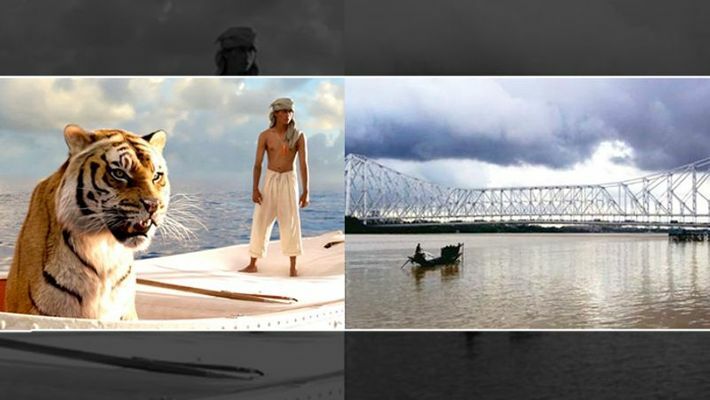 Talking everyone onboard on a journey of imagination, Booker Prize winner Yann Martel recreated the story of his magnum opus "Life of Pi" sans the tiger, orang-utan or the hyena on a ferry that set sail on the Hooghly river here. Martel spoke of how he came up with the idea of his novel he published in 2001 and which fetched him the Booker Prize the next year, how he chose the characters and how he did research among other things. In the late 90s, Martel flew to India for research on another book. "I noticed in India that there was abundance of gods as well as animals. There is a link between the two and there are lots of instances of this in Hindu mythology," he said. These two extremes - gods and animals - struck Martel. "While in Matheran (Maharashtra), I suddenly remembered that premise of a very confined space - with a character and an animal. I found that to be a perfect metaphor for human conditions," he said during a discussion as the ferry cruised along the Hoogly with the majestic Howrah Bridge as the backdrop Thursday night. "The Life of Pi" is about what happened after the tragic sinking of a cargo ship, as a solitary lifeboat remains bobbing on the wild, blue Pacific Ocean. The only survivors from the wreck are a 16-year-old boy named Pi, a hyena, a zebra (with a broken leg), a female orang-utan and Richard Parker, a 450-pound Royal Bengal tiger. The novel was later adapted into a movie by Ang Lee and won multiple Oscars. According to Martel, in "Life of Pi", the lifeboat crossing the Pacific is the metaphor of the human condition he talks about. "It is the crossing of life and living of a life. We are animals and always behave like animals - so that is the tiger. We also have human qualities and one of these qualities is our extraordinary capacity to imagine. One of the things we imagine is god. "So Pi and his gods are one extreme of the human conditions and the tiger is the other - the animal condition. These are brought together in this lifeboat," he said. The main idea conceived, he then spent the next six months in India for research as the country is a "place of marvel and magic". Another interesting fact he shared during the discussion, organised as part of the ongoing Tata Steel Kolkata Literary Meet, was why Pi was stranded for 227 days. "I wanted Pi to be at sea for a time. So I had to have some reason to choose a number. So after some thought, I chose a prime number 227. Prime numbers are indivisible and I wanted to tell a story which is indivisible. You can't have one half of a story, another quarter of one and fabricate another story." Later, a reader pointed out to him that 22 divided by 7 is close approximation of Pi.